Two Nigerian Startups selected for Launchpad Accelerator. The Launchpad Accelerator is a six-month acceleration program that matches top growth-stage startups from emerging ecosystems with the best of Google – its people, network, and advanced technologies – to help scale great products. Joining its fifth class, are two startups from Nigeria – electronic medical records startup Helium Health and FinTech startup Paylater. Also, South African startup, Aerobotics will be part of the class. Other countries to participate are Bangladesh, India, Thailand, Hungary, Poland, Russia, Argentina, Brazil and Mexico with a total of 24 Startups. Roy Glasberg who is the global lead for the Google Developers Launchpad made a statement saying, “This includes a diverse group of startups from all over the world looking to tackle everything from streamlining medical records in Africa to improving breast cancer screenings”. 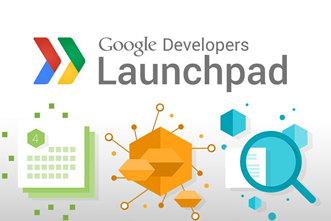 The program kicks off on January 29, 2018, at the Google Developers Launchpad Space in San Francisco where the selected startups will participate in an all-expense-paid intensive two-week Bootcamp in San Francisco and they will receive mentoring from over 30 teams across Google and expert mentors from top technology companies and VCs in Silicon Valley and globally. Participants will also receive equity-free support, credits for Google products and media training, to work closely with Google back in their home country. Wishing it was your Startup? As some of you will recall, earlier in the year, Google announced that it was bringing Launchpad accelerator to Africa with the aim of assisting startups in Africa. This six-month, equity-free mentorship program is expected to impact countries like Kenya, Nigeria, South Africa, Tanzania, Ghana, Morocco, Uganda amongst others. News Africa, entrepreneurship, growth, news. permalink.